The Frames Give Epic Performance Enormously popular in their home country of Ireland, The Frames make intimate, reflective rock led by singer/guitarist Glen Hansard. Now on tour for their sixth and best studio album to date, The Cost, The Frames visit Washington, D.C. for a concert, originally webcast live on NPR.org Apr. 26. 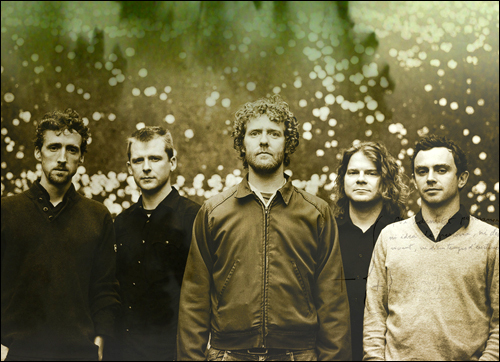 The Frames: Colm Mac Con Iomaire (from left), Johnny Doyle, Glen Hansard, Rob Bochnik, Joe Doyle. Right click (PC users) or ctrl-click (Mac users) and save the link to your computer. Enormously popular in their home country of Ireland, The Frames make intimate, reflective rock led by singer/guitarist Glen Hansard. 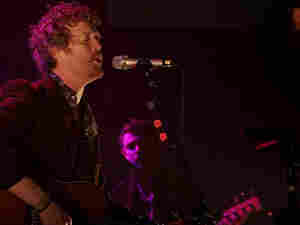 Now on tour for their sixth and best studio album to date, The Cost, The Frames visit Washington, D.C. for a full concert, originally webcast live on NPR.org Apr. 26, 2007. 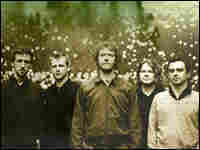 The Frames formed in Dublin in 1990 and released their debut album Another Love Song two years later. Since then, the group has become one of Ireland's most popular rock bands, selling millions of records worldwide. Their sound has made dramatic shifts over the years loud and angry one moment, quiet and melancholy the next. The Frames' latest CD, The Cost, is more of the latter. But the band can still be explosive and volatile, particularly during live performances. "With The Frames, it's the throwing your arms around the room thing," says singer/guitarist Hansard. "When our gigs are at their best, you throw the energy out and it gets thrown back twice the size. I mean, I find myself saying things on stage that I would never say in my life, it's almost like a whole new character or creature is born when you walk on. If you trust in the moment, if you're willing to be the fool and make the mistake and get it wrong, then you've great potential to get it absolutely right. And I think that can be the scary thing about a Frames gig and the great thing about a Frames gig." Hansard is a gifted songwriter who dropped out of school when he was 13 and began busking on the streets of Dublin. When he was 17 he borrowed money from his parents to record a demo, which found its way to Island Records. The label signed Hansard who then formed The Frames. The band is now on Anti Records. 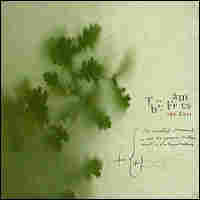 The Frames released The Cost in Ireland in Sept. 2006 and worldwide in Feb. 2007. Last year Hansard also released The Swell Season, a side project he recorded with Marketa Irglova. The album included versions of two tracks from The Cost — "Falling Slowly" and "When Your Mind's Made Up." This live webcast by The Frames is part of NPR Music's live online concert series with All Songs Considered host Bob Boilen. Previous shows are listed above, right.